In her book Grit: The Power of Passion and Perseverance, Angela Duckworth makes a compelling case for people to follow their passion and learn perseverance. (I referenced her work in my 2018 New Year’s Resolution post.) She defines “grit” as self-discipline wedded to dedicated pursuit of a goal. In her study, Dr. Duckworth learned that highly successful people “were unusually resilient and hardworking” and they had determination and direction (Duckworth 2016, 8). If you haven’t yet take her online test, you can access her “grit scale” on her Web site. One of her findings that was particularly meaningful to me is this. “Grittier people are dramatically more motivated than others to seek a meaningful, other-centered life. Higher scores on purpose correlate with higher scores on the Grit Scale” (Duckworth 2016, 147). People, such as school librarians, who have a moral purpose to serve others can be some of the grittiest people in terms of persevering to follow their passion. For me, this portends success for our profession. Tyler Cowen in The Complacent Class: The Self-Defeating Quest for the American Dream presents readers with a U.S. culture very much in need of “sisu spirit.” Cowen’s thesis is that Americans have lost “the ability to imagine an entirely different world and physical setting altogether, and the broader opportunities for social and economic advancement that would entail” (Cowen 2017, 7). He writes that the main elements of our society are driving us toward a more static, less risk-taking America. I believe that Duckworth’s “grit” is the answer to Cowen’s complacency prediction. Inquiry learning (see 2/22/18 post) and activism are also pieces of the puzzle. Serving as a school librarian is not for the faint of heart. For many school librarians, their work involves bumping up against a system that may not be serving students, educators, and families well. It means influencing others through leadership—an effort that takes passion, purpose, risk-taking, and perseverance. We must have the necessary dispositions to succeed, and we must model these and co-create with classroom teachers opportunities for students to practice them. As a current example, Carolyn Foote, district librarian for Eanes (Texas) Independent School District and Lilead Fellow, created a Resources for Planning a Peaceful March Padlet to support youth and educators who are organizing protests related to gun violence. She invited Future Ready Librarians to add resources and share this information in their learning communities. The fact that young people across the U.S. are speaking up and out is sending a strong message to our representatives in Congress. These young people are displaying grit and passion. They are anything but complacent. It is our responsibility as educators and elders to support them and join with them in raising our voices and creating positive change. As Randy Kosimar writes: “Following your passion is not the same as following your bliss. While passion is a font of expressive, creative energy, it won’t necessarily deliver pleasure and contentment at every moment. Success, even on your own terms, entails sacrifice and periods of very hard work” (2000, xiv). Cowen, Tyler. 2017. The Complacent Class: The Self-Defeating Quest for the American Dream. New York: St. Martin’s Press. Kosimar, Randy. 2000. The Monk and the Riddle: The Art of Crafting a Life While Making a Living. Boston: Harvard Business School Press. 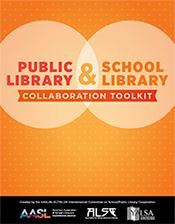 Bravo to AASL/ALSC/YALSA for last Friday’s publication of the Public Library & School Library Collaboration Toolkit. The information in Chapter 1 provides strategies for identifying potential collaborators and reinforces the critical importance of building relationships as the first step in collaboration. This chapter lists ALA initiatives that provide springboards for school-public librarian collaborative work, such as ALSC’s Every Child Ready to Read® year-round initiative and annual Teen Read Week and Teen Tech Week. Chapter 2 includes research related to the process and results of collaborative work. As background information, this chapter includes a brief explanation of evidence-based practice and the Understanding by Design planning framework. Readers will want to review some of the highlighted research support for the benefits of summer reading on children and youth. Digital literacy and early childhood literacy are two additional areas that provide research support for collaboration. To further inspire you, this chapter includes testimonials from school-public library collaborators on the positive impact of their collaborative work. For Chapter 3, the toolkit writers spotlight exemplary school-public library collaborative programs—both at the branch and school-site levels as well as system-wide examples. From assignment alerts and book collection/kits programs to book clubs and STEM programs, librarians will want to consider how they might work with colleagues to adapt one of these for their service population or use them as inspiration for creating an original program for their community. There is a summary for each example and contact information for one or more principal collaborators should you have questions or need more details. Chapter 4, titled “Continuing the Partnership,” offers strategies for building on and sustaining successful collaborative work. In addition to all-important communication, there is specific information to help librarians understand the resources, priorities, and challenges in reaching across the aisle to work with their school or public library counterparts. This chapter also includes information about evaluation and sharing results. This critical step can make the difference between ending the collaboration with a one-off program and developing an on-going series of programs or more highly impactful programs based on data. Evaluation provides feedback for the librarian collaborators as well as for administrators who will want to ensure programs are successful (and that they deserve more support and funding). Chapter 5 includes templates and additional resources to support librarians in successful collaborative work. From introductory email and educator card application templates to sample collaborative planning forms, the resources in this chapter are intended to help librarians hit the ground running once they have identified promising partners. The AASL Strategic Plan calls for a focus on building a cohesive and collaborative association as a critical issue. 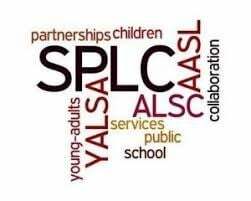 This toolkit is an example of AASL reaching across the aisle to colleagues in the other two ALA divisions focused on children’s and young adult services. The committee that created the toolkit is composed of representatives from all three divisions and demonstrates that AASL is growing and strengthening its community. In the introduction to the toolkit, you will learn this work involved a three-year process: planning, drafting, and finalizing for publication. It has been my pleasure to serve for the last two years with colleagues from all three divisions who collaborated successfully to draft, revise based on feedback from the AASL/ALSC/YALSA leadership, and submit the “final” initial toolkit. The online toolkit is intended to be a starting point for future revisions as more and more successful school-public librarian collaboration examples and research become available. Please make time to check out the toolkit and use it as a starting point for a conversation with a school or public librarian who can become your next friend and collaborative partner in supporting literacy in your community.